Exciting news! On 27.03 Garet (Limon Evita Gyasi of Red Prayd for Amber) and Omnia (Mkondo wa Simba Omnia Vincit Amor Omnia) became parents of 11 strong puppies, 6 boys and 5 girls. Litter is born in Belgium and you can see more information on the breeder's website. 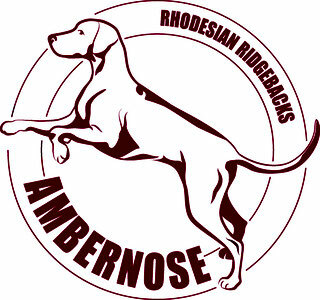 Rhodesian ridgeback puppies can be divided in two (or three) broad groups: standard, show class puppies and pet class puppies. 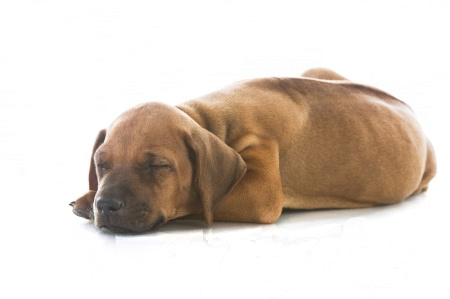 Standard, show class puppies are those, which at the moment of evaluation of the litter correspond to the standard of a Rhodesian ridgeback and which does not have inherited defects or inherited health problems. These puppies in future can participate in different activities (obedience, agility, coursing, etc. ), can participate in dog shows and, if breeding requirements are met, can be used in breeding. Standard puppies can be of a different degree of expected show success and therefore some can be seen as more promising than others for future show career. Show puppy as a pick from the litter would be the puppy in which the biggest show potential is seen. Incorrect ridge - the number of crowns in the ridge is bigger or smaller than two, offset - crowns are not paced opposite to each other, skewed ridge, too short ridge), or ridge less (no ridge at all). Pet class puppies are purebred Rhodesian ridgebacks with all the traits and characteristics of a ridgeback. These puppies will have the pedigree as well as standart/show puppies will. The only activities where pet puppies cannot participate in comparison with the standat/show class puppies are dog shows and breeding. All puppies will have FCI pedigree irrespective of being Standard, Show or Pet class and irrespective of future participation in shows or sports activities. In every litter puppies are different, same as in humans, brothers and sisters all are different. Puppies are with different show potential and with different characters. Our aim is to match each family with a puppy that suits them the best from a perspective of temperament and exterior.